An ability to evaluate the carcinogenic potential of compounds at a very early stage is an important challenge for all pharmaceutical, cosmetics, chemicals or even agrifood companies that are trying to create new products. 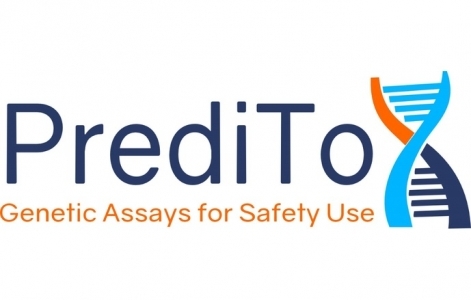 PrediTox is a start-up which has made this work its speciality, thanks to the development of a technology from TOXALIM. It all started with Dr Marc Audebert, a toxicology scientist at INRA who was working on "γH2AX", a biomarker for carcinogenesis relatively new at the time. We are in 2006, and very rapidly he realised the value of associating this biomarker with the use of different human cell lines to enable early detection of the potential of compounds to damage DNA. The foundations for PrediTox were thus laid. Major methodological developments and more detailed validation tests were still necessary to establish the proof of concept. At that point Laure Khoury became involved, and for the next four years, working in the laboratory, she optimised the technique and tested it on more than 700 different compounds before initiating the creation of PrediTox.